"Recovering from Religion" is an international community for those who have questions or doubts about their faith. We aren’t here to talk you out of or into faith, just provide a safe place to examine what you believe. And perhaps, why you believe it. Your hosts, authors Tim Rymel, M.Ed., and Bill Prickett, will bring guests who've experienced harm from extreme religious beliefs and practices, as well as experts who can offer help, hope and healing. Debbie Glander is a licensed Marriage and Family Therapist, cofounder of Authenticity Workshops, and a Certified Daring Way™ Facilitator, utilizing methodology based on the research of Dr. Brené Brown. Debbie works with clients individually in her private practice and facilitates a “Healing from Religious and Spiritual Trauma” process group. She has her own story of being raised Jehovah Witness. Kari Groff is a former Adventist missionary to Micronesia, but is now passionate about building communities with those who’ve also experienced the trauma of a strict, dogmatic religious culture. Join us as we talk with these women about the power and control of shame, as well as recognizing religious abuse. Debbie’s Website: www.debbieglander.com UPDATE: We recently put out an appeal for a Producer for the Recovering from Religion podcast. We're pleased to announce that we’ve found one, and we’ll be introducing our new Producer in an upcoming episode. Thank you! Sarah Rocksdale created her YouTube channel in 2011 to share her passion for topics such as beauty, fashion, fitness, and lifestyle. She won the Rimmel London Look contest and was a NYX Cosmetics Face Awards finalist two years in a row, and garnered a huge following. She realized her unique position to speak to an audience that might not otherwise be exposed to difficult subjects, so she chose to expand her content, talking about her own break with her Pentecostal faith, her sexual abuse, and she “came out” as an atheist. Sarah’s YouTube channel (https://goo.gl/PrZV66) has more than 88,000 subscribers. 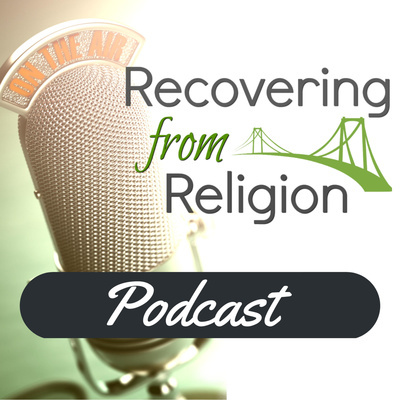 Former conversion therapy survivors, authors and speakers, now co-hosts, Tim Rymel and Bill Prickett kick off Recovering from Religion’s new podcast, with introductions and personal stories.